Google adds yet another ad revenue generating idea by testing ads on its recent Knowledge Graph extension. The Knowledge Graph is the brain of Google which lets Google discover relationships between identities and helps to solve the semantic relationship between queries. It's set to revolutionize the search experience for Google. Such a useful and important platform for users cannot go without ads. So, Google soon decided to monetize Knowledge Graph extension by adding ads on them. This news was published recently at seroundtable and it was originally shared by gfiorelli1 on Twitter. 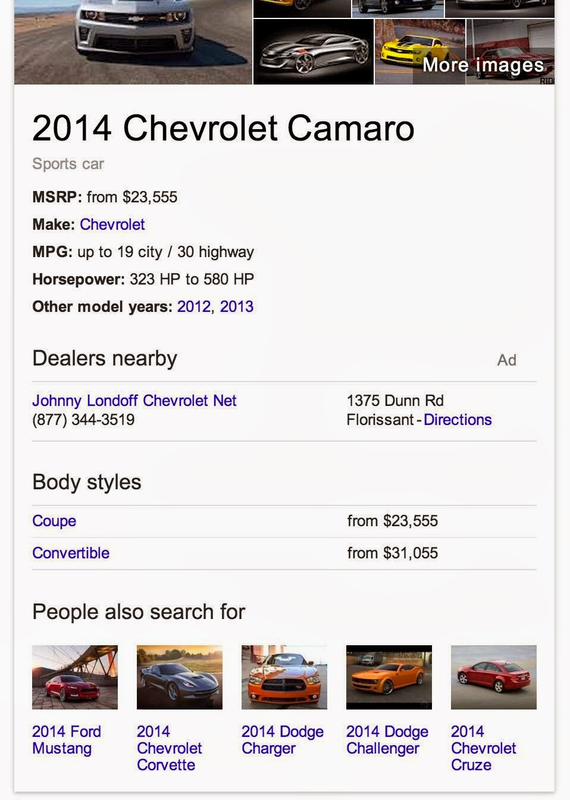 Google had recently added automobile related information on its Knowledge Graph and has soon started to test ads displaying nearby dealers when someone is searching for specific car related information.See an example of Knowledge Graph getting displayed when someone is searching for 2014 Honda Accord. (Since Google is still testing the ads so you won't be able to see the ads right now.) 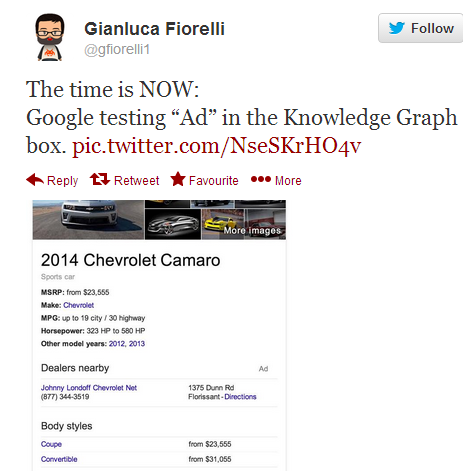 Soon knowledge graph would be having ads.